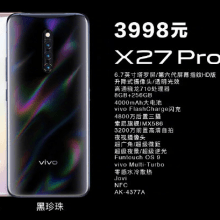 During an event that took place in China Vivo announced X27 and X27 Pro, two new medium-high-end smartphones that could anticipate some of the OnePlus 7 solutions. The front surface of both is almost entirely occupied by the display, the “smaller” of the two has a diagonal of 6.39 inches, the other instead goes up to 6.7 inches. The shape ratio is 19.5: 9 for the first and 20.5: 9 for the second, a poor consolation for the overall dimensions that remain unsuitable for most of the markets outside of China. 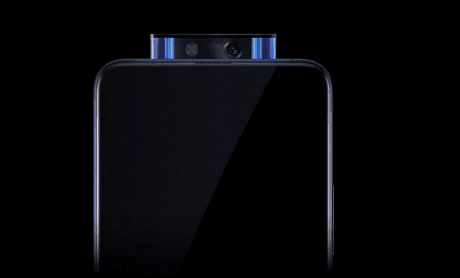 It is interesting to note that Vivo has adopted a retractable 16 megapixel front camera (32 MP with dual LED flash on X27 Pro), which remained outside the front surface to allow the screen to occupy 91.64% of the available space. Vivo X27 “standard” spec sheet contains an alternative to the processor. 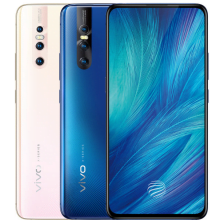 Vivo X27 with Snapdragon 675, 8 GB of RAM and 128 GB of memory costs 3,198 Yuan, or about 420 euros; 400 Yuan more for the variant with Snapdragon 710, 8 GB of RAM and 256 GB of memory which costs around 470 euros; for Vivo X27 Pro there is a single variant of 3,998 Yuan, or about 520 euros. Sales in China will start from March 23rd. We still don’t know anything about marketing in Europe.